My friends and I discussed how this year's Steam Sale wasn't all that exciting. We just didn't buy that many games. We figure at this point, we've already bought the very best stuff on Steam and have enormous back catalogs, so it's only natural there be less interesting sale items. OR MAYBE THE MAGIC IS DEAD. Special thanks goes to my friend Shane, who actually suggested not buying games to save 100%. Oh, and we've got a genuine Nerd Rage Review this week. 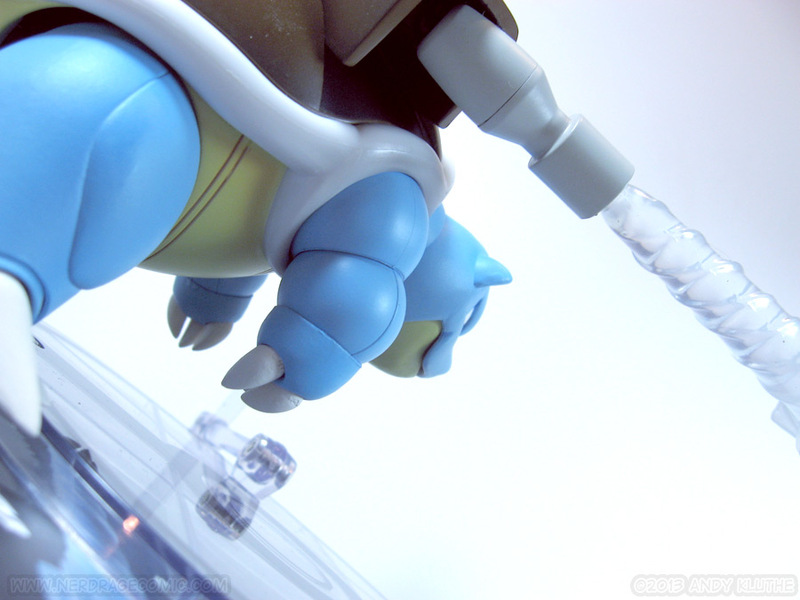 Skip below for D-Arts Blastoise! 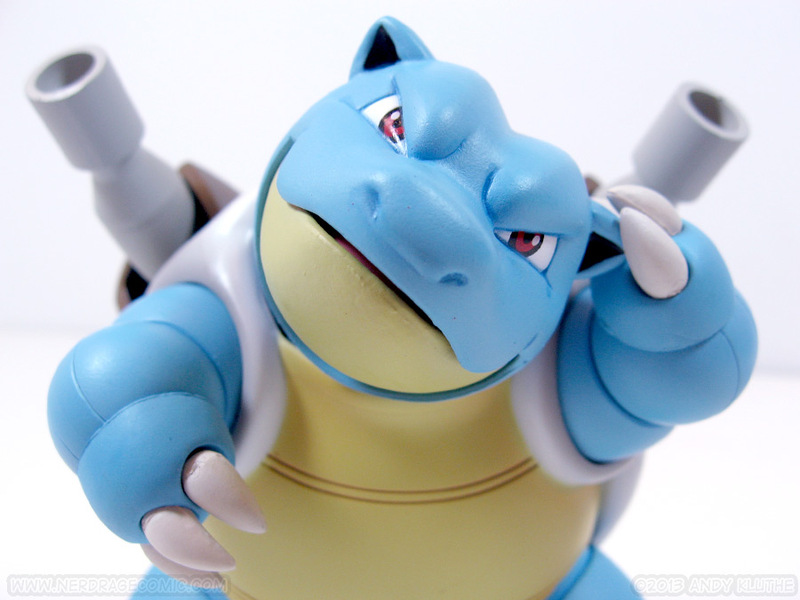 So, last week we covered how Nippon-Yasan.com scammed me out of a D-Arts Charizard. 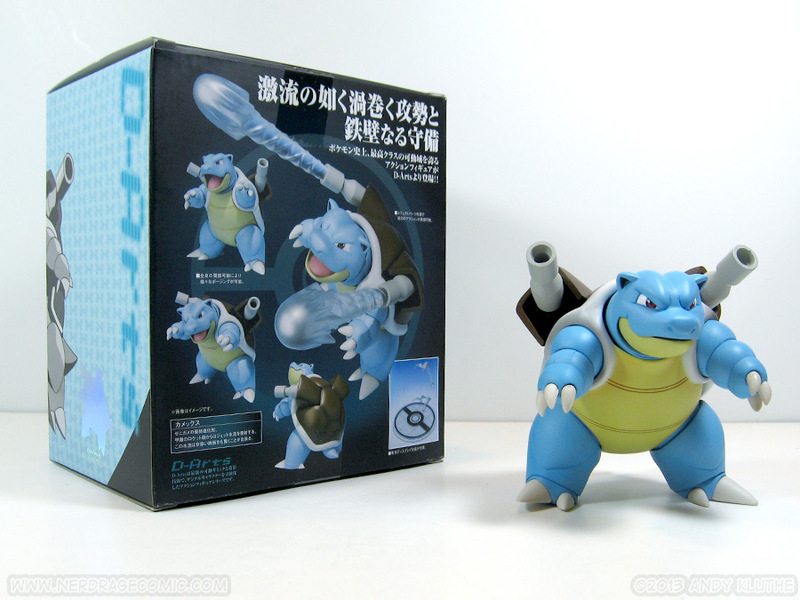 This week we’re looking at the next best thing: HLJ shipping me Bandai’s D-Arts Blastoise – and they do it without losing it or screwing over the customer! 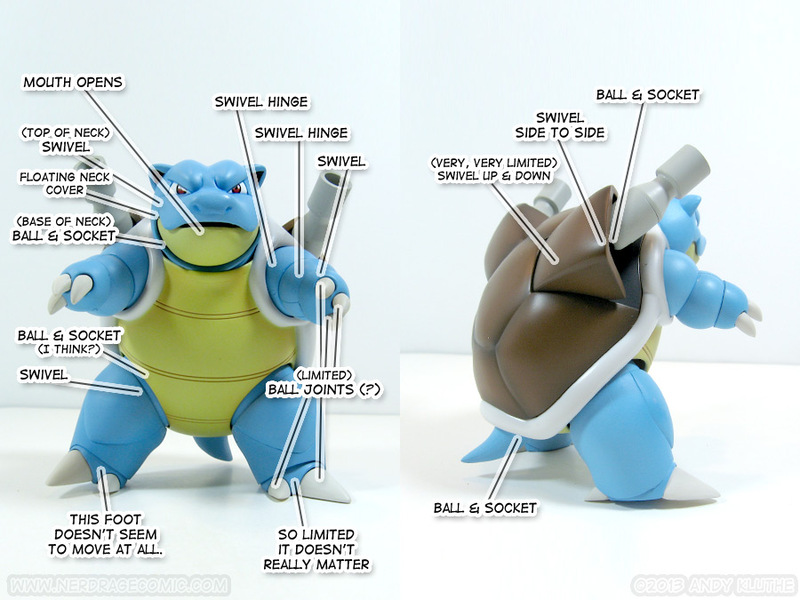 So there are two ways to look at Blastoise. 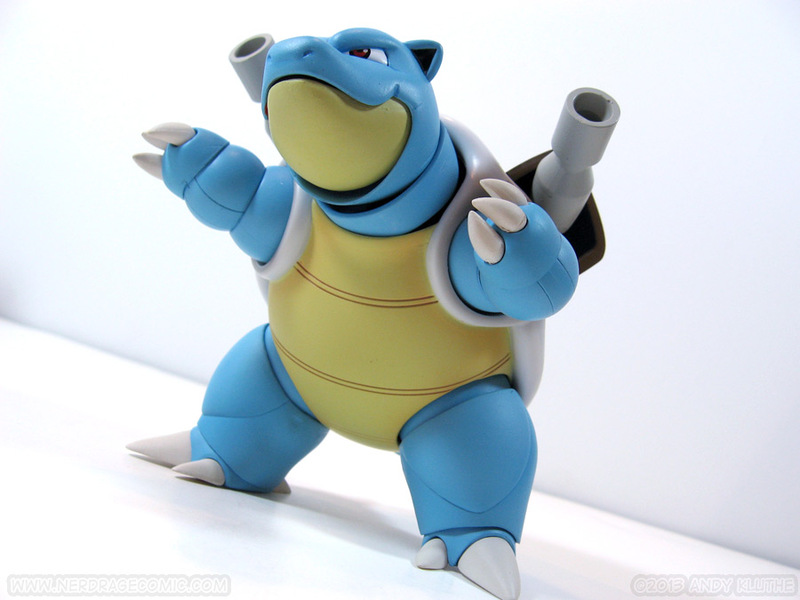 You can consider him an inarticulate brick, or you can consider him an entirely-accurately-articulated Blastoise. Pick one; you can’t go wrong (or pick both, because they’re both right). 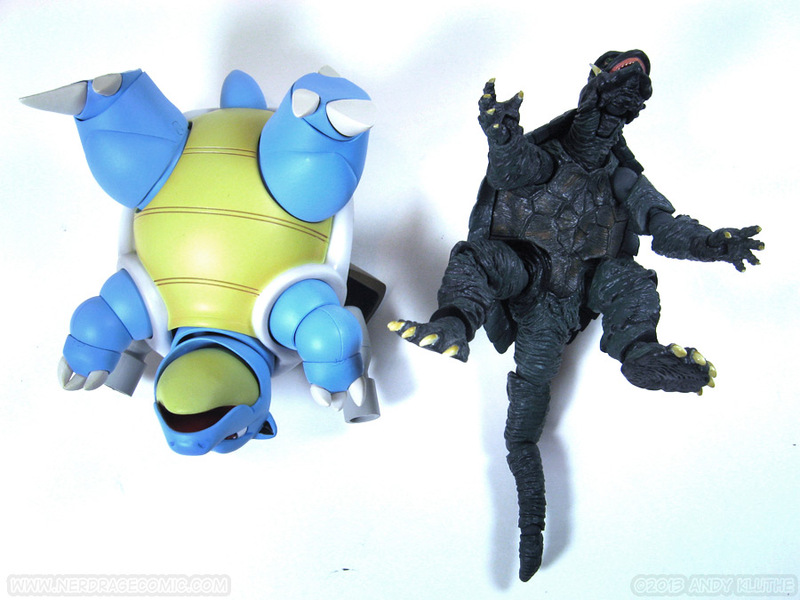 You’re not going to get much out of the legs and there’s no waist or chest articulation (…because he’s a turtle). 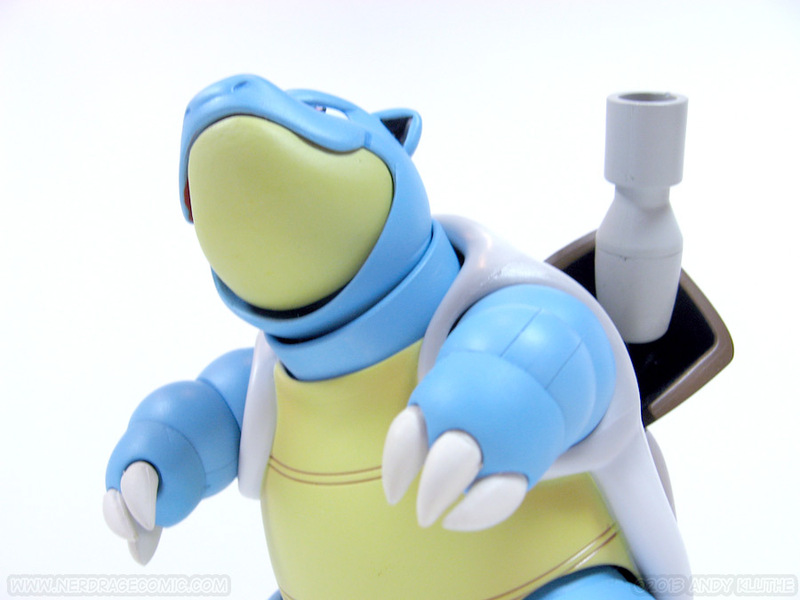 You can get some nice subtle head movement thanks to a surprisingly-versatile neck joint and you can actually get his stubby little turtle claws to touch his face. 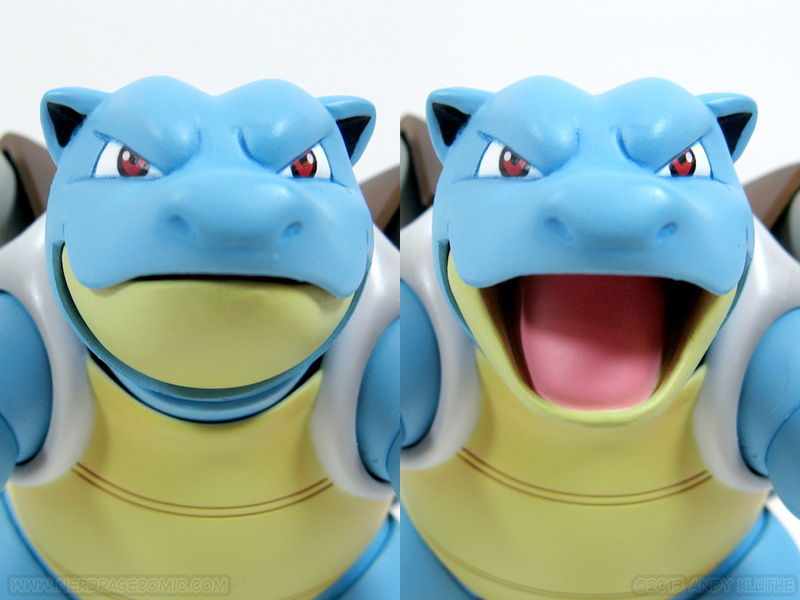 His mouth opens – yes, all the way, no parts-swapping involved – and it looks great opened or closed. Mine does have an issue with the right foot. While the left foot can wiggle a bit, the right seems as though the sculpt doesn’t accommodate movement or the shin covers too much ankle. This means if I want his foot to sit flat, all the turning has to be done in the hip. I’m not sure if this is isolated or not, but a friend’s is the same way. 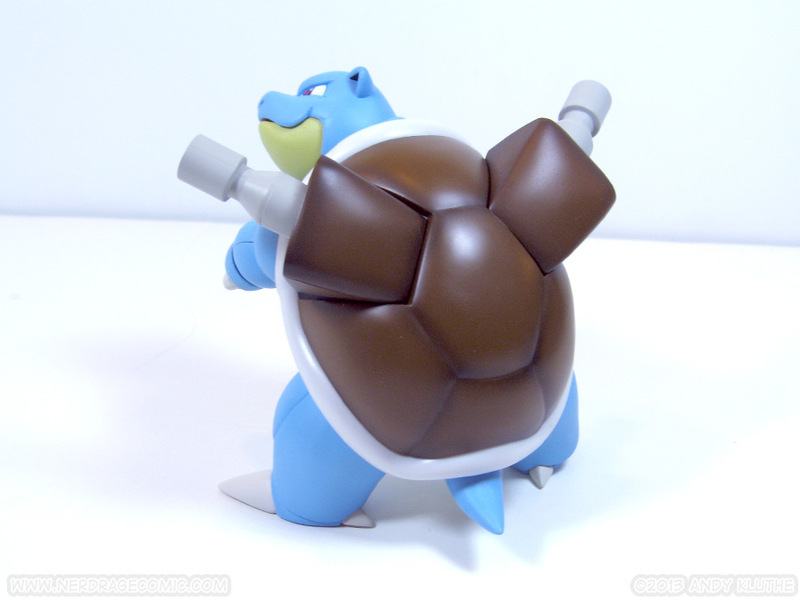 If anyone can confirm whether or not their Blastoise is the same, that’d be awesome. Oh, and his toes are individually articulated, despite this strange ankle flaw. 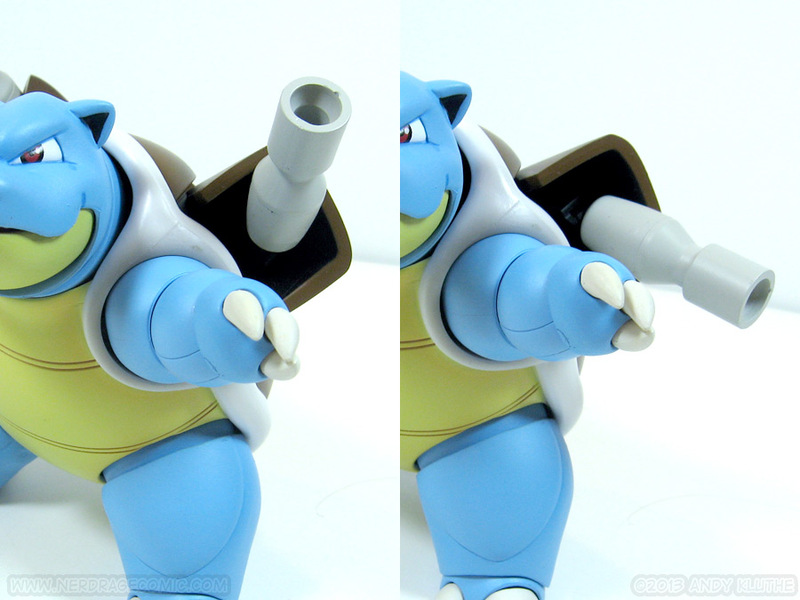 As I mentioned in the Mewtwo review, Bandai’s Pokemon figures have nice, matte paint jobs with awesome airbrushed shading. The shading is especially noticeable on his shell, and it is beautiful. The matte paint on his toes/claws has me worried, though, because it seems like it has the potential to wear. So far it’s holding up. 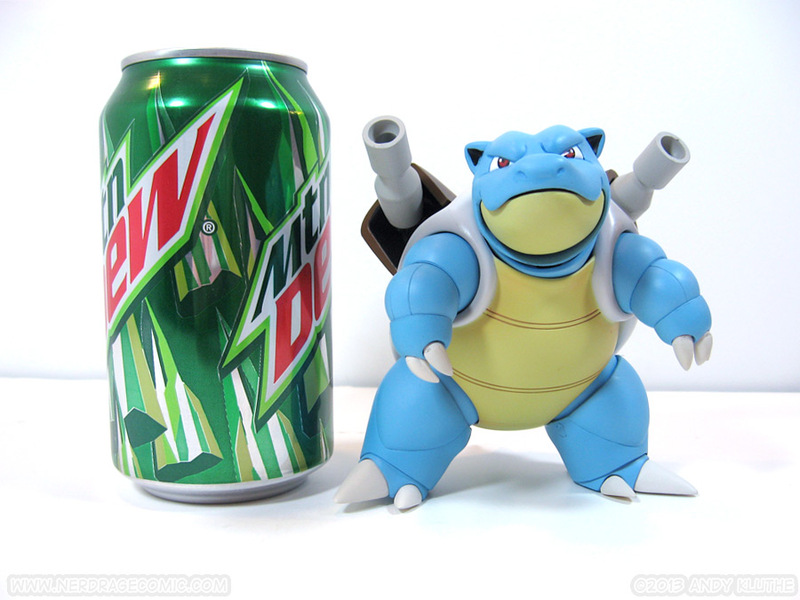 The sculpt looks great and accurate to the official art. The Michelin Man arms work will for this design, because it disguises the joints while keeping his arms accurate and articulated. Some have complained that he only has two toes on the front of each foot instead of three – this is actually accurate. 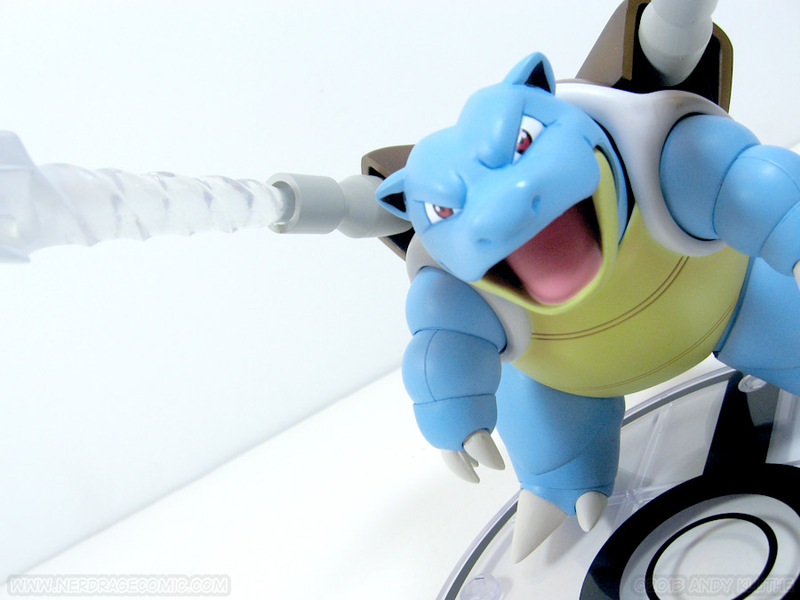 Blastoise has been inconsistently shown with both designs. 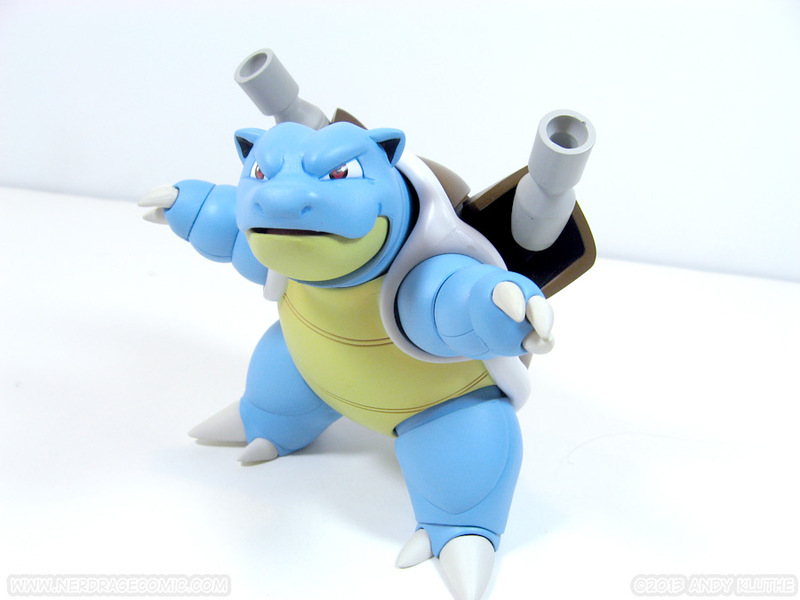 Blastoise comes with two water effect parts that plug into his cannons. They’re clear plastic with a kind of pearlescent paint application towards the tip. 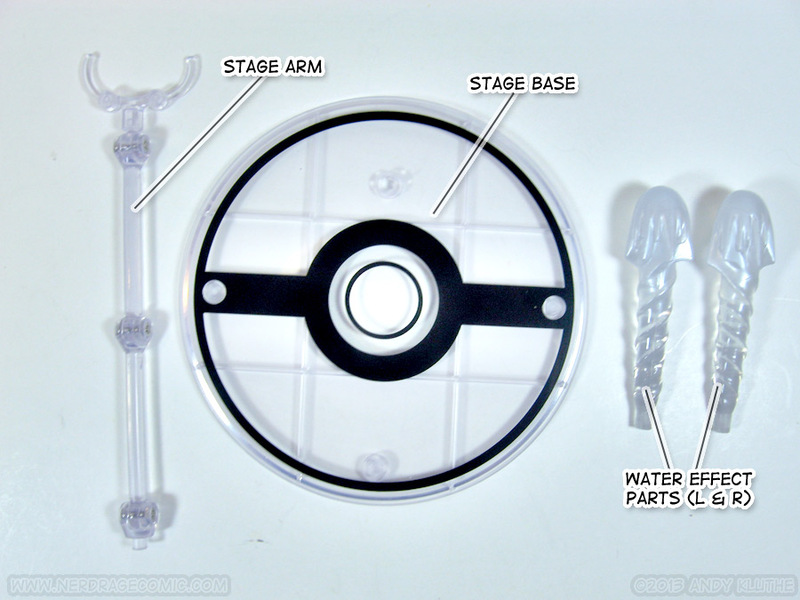 He also comes with his own Pokemon version of the Tamashii Stage. 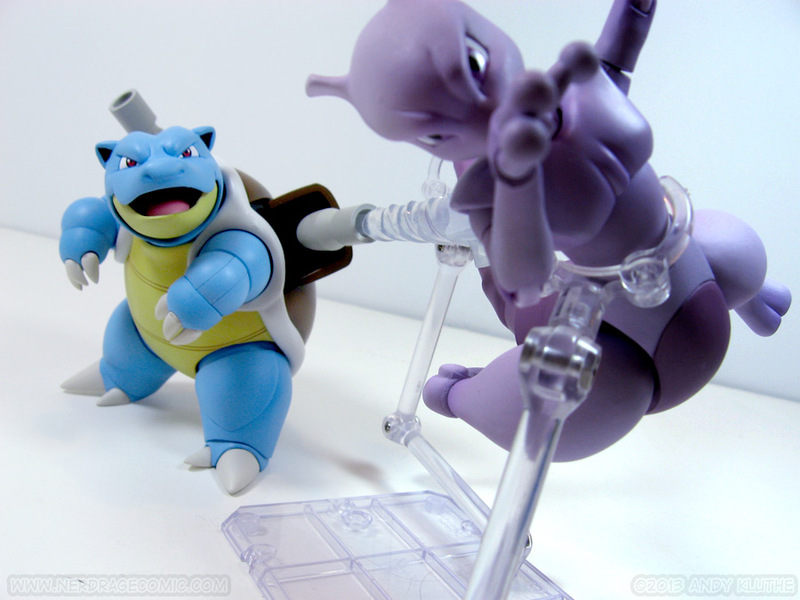 Unlike Mewtwo, Blastoise stands nicely without additional support. There’s also no real place to clip the arm of the stand, earning this thing the Most Pointless Stand Of The Year Award. 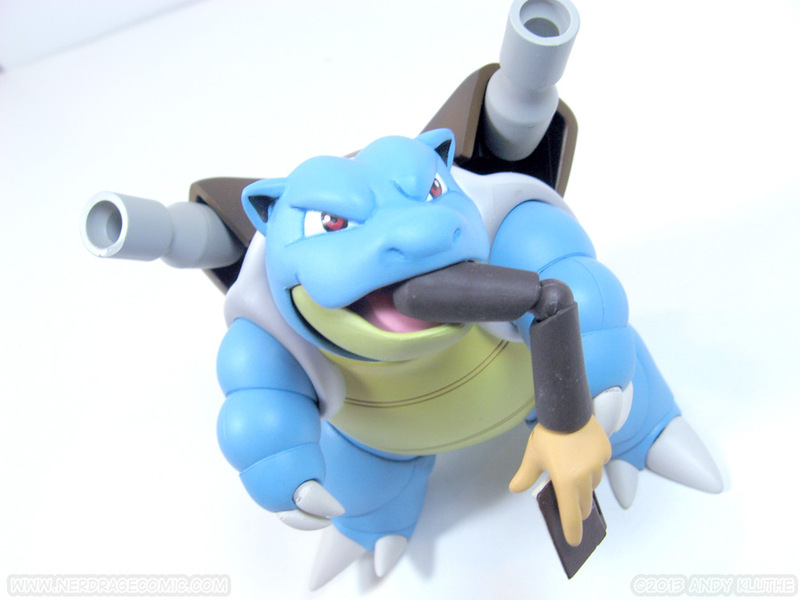 The manual suggests gripping one of the cannons when the effect part attached, which isn’t a terrible since equipping the two pieces of solid plastic make him awful top heavy. 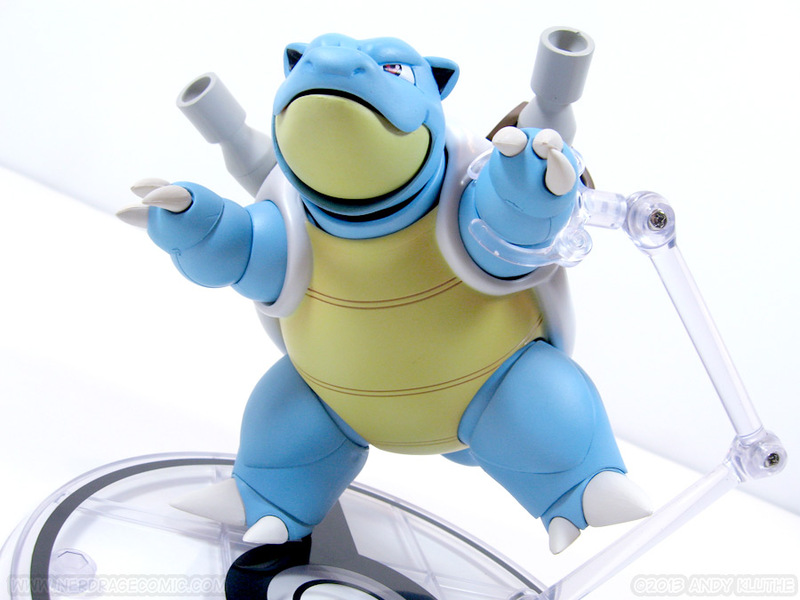 • He’s a nice, big Blastoise figure. • Paint application looks great! 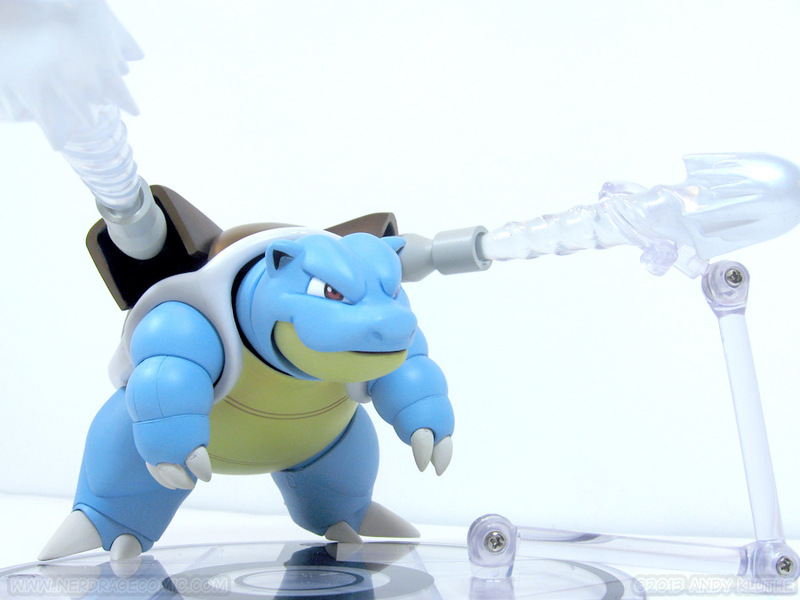 • He’s still got Blastoise-tier articulation…so it’s limited. • Right foot doesn’t move. •And much more (but mostly standing)! I’m having a lot of fun with him. He looks good for what he is, gets some decent expression in the ways he would in the games or cartoon, and generally looks cool. 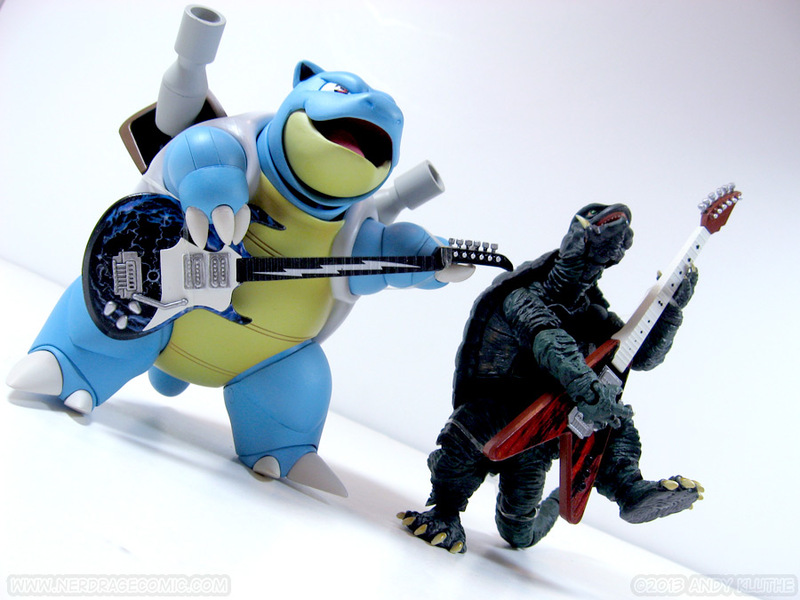 Plus, Gamera has someone to pal around with. If I had Ninja Turtles figures, you can bet I would have photographed the world’s most awesome pizza party. 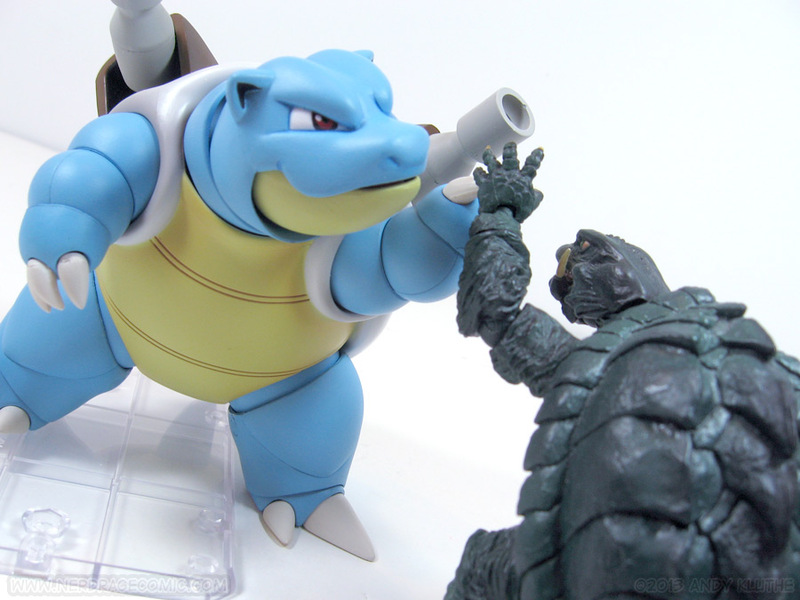 If you were hoping for a Blastoise who can run and jump, maybe pass on this one – also maybe re-evaluate how you expect a 200 lb bipedal turtle to act. 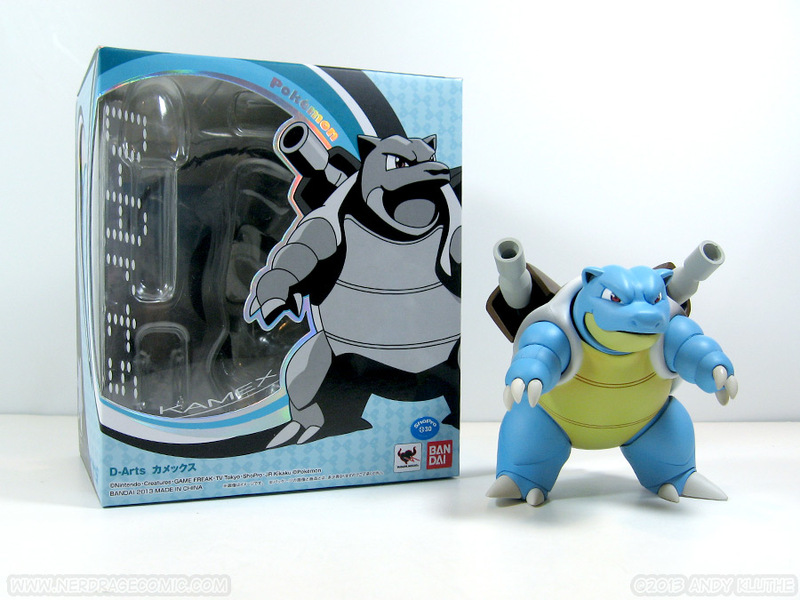 My D-Arts Blastoise was shipped courtesy of HLJ, but is currently out of stock. 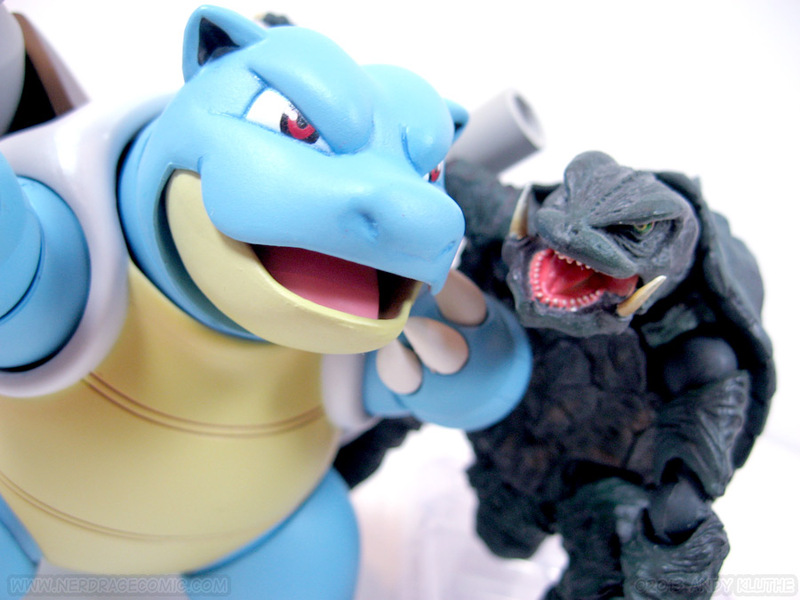 If you’re looking to catch ‘em all (or this one in particular), keep your eyes peeled for a future restock.